Guanajuato City, Mexico, decreed a city in 1741 by King Phillip V of Spain, was declared a “World Heritage Zone” by UNESCO in 1988 and holds a wealth of attractions for the visitor. 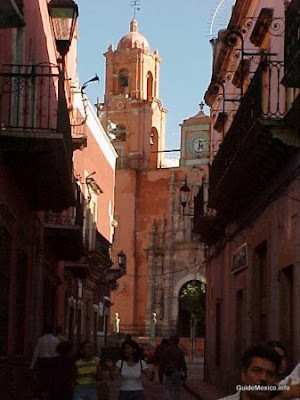 It is one of those cities that is perfect for seeing on foot: "The narrow, winding streets are lined with old colonial structures and wrought iron balconies, fountains and plazas, and romantic nooks and crannies that can only be fully appreciated by close inspection." Take a closer look at what this colonial city, one of the prettiest in all of Latin America, has to offer.